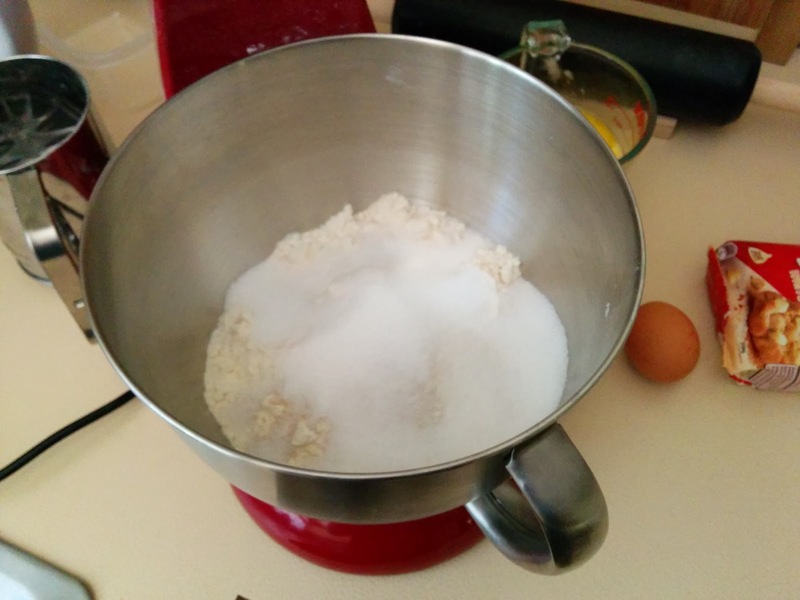 I modified the recipe to use the enriched dough from the cinnamon buns so I could use the mixer to knead it all. Also there's none of that milk scalding malarky. Nicely rolled up. It'll inevitably be a little fatter in the middle. I just gave it a gentle squeeze to even it out a bit. 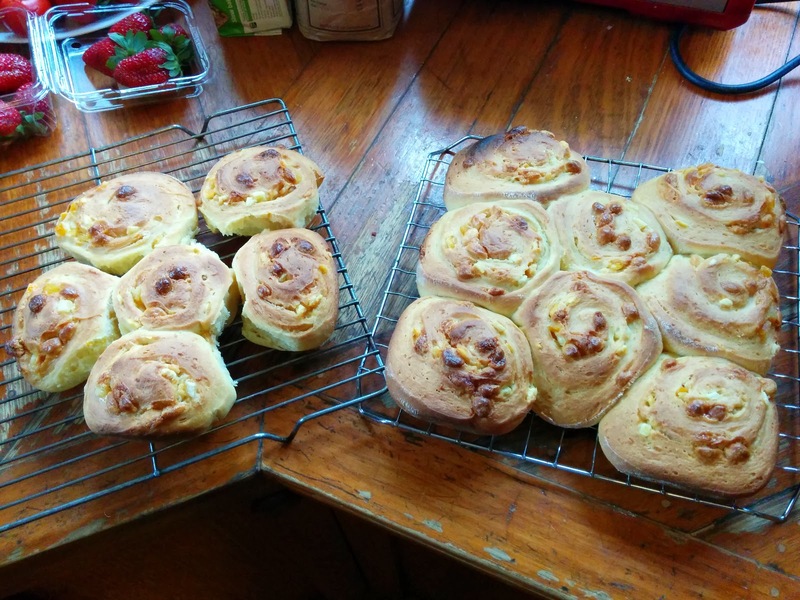 Baked for 20 minutes at 190°C and they're very yummy indeed! 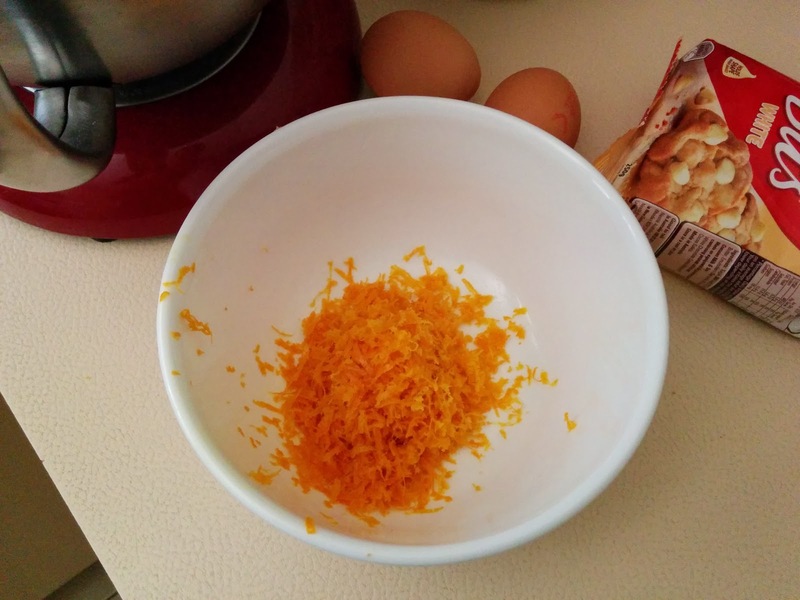 Mix all ingredients (but only half of the white chocolate and peel amounts) until a stretchy, sticky, smooth ball forms. 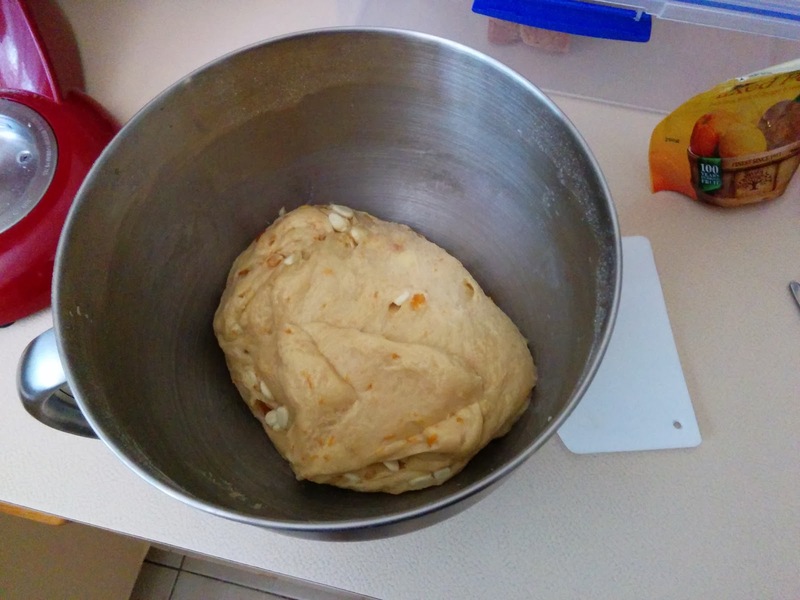 I used a mixer with a dough hook, since the dough is quite sticky. It would be possible to do by hand, but I wouldn't recommend it. If you do need to then you can coat your hands and the bench with a spray of oil to prevent the dough sticking too much. Leave in a warm place until doubled in size. 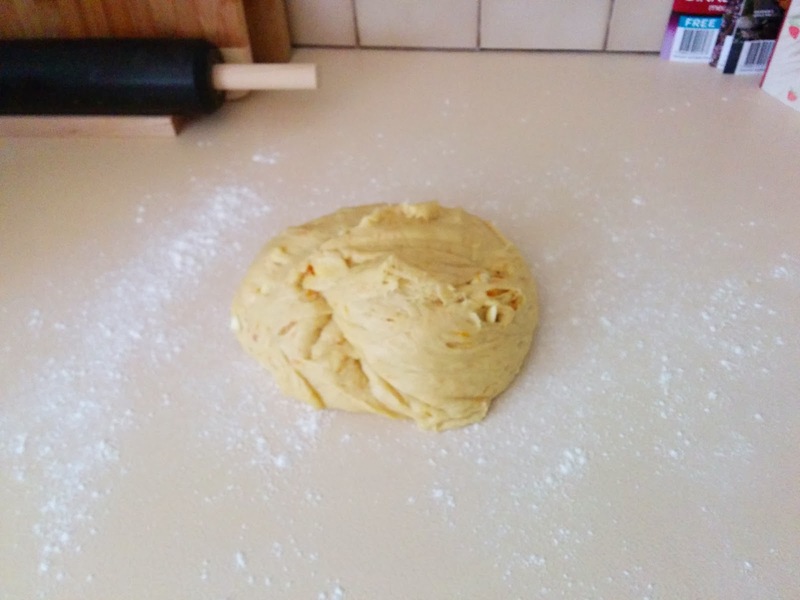 Since this is an enriched (with milk, butter and egg) dough it can take quite a while to prove - even a couple of hours). 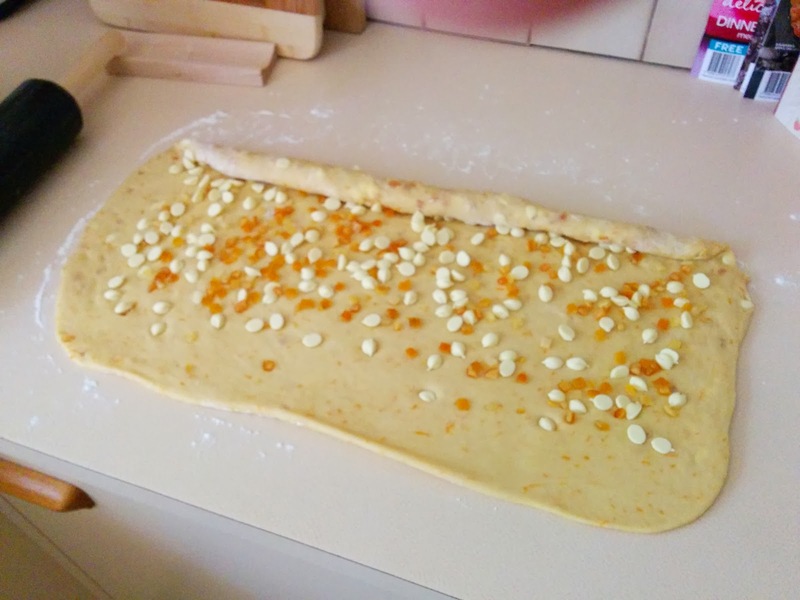 Spread remaining white chocolate and peel over the dough. 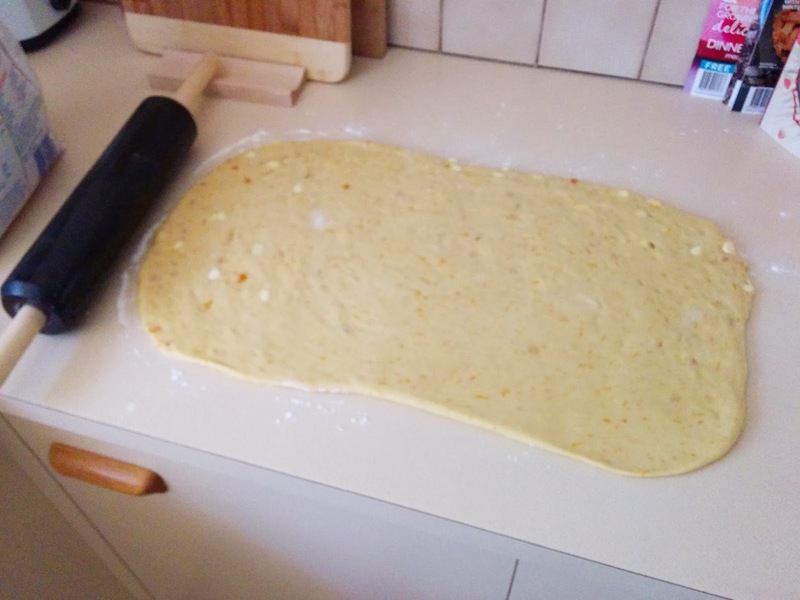 Roll up lengthwise. Cut into pieces about 2-3cm wide. 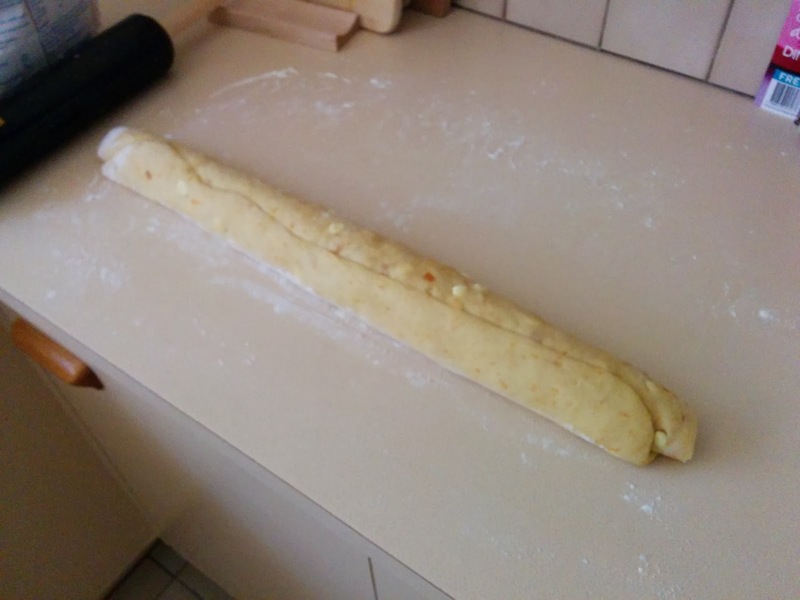 keep longer if frozen (about a month, apparently) and thaw in the fridge overnight before baking. If you do refrigerate the scrolls then remove them from the fridge about 30 minutes before baking - while the oven is preheating. 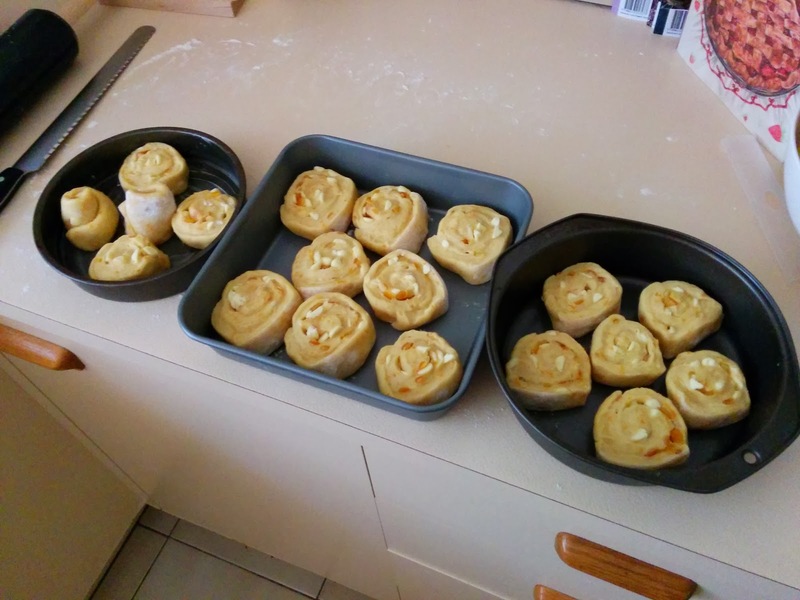 Heat oven to 190°C and bake for 10-15 minutes until brown around the edges. So there we go - a much simpler enriched dough recipe and a better grater for the zesting resulting in a whole lot of yummy rolls!